Rani Chennamma (October 23, 1778 – February 21, 1829) was the Queen of Kittur in Karnataka, southern India. In her youth she received training in horse riding, sword fighting and archery. She became queen of her native kingdom and married Raja Mallasarja, of the Desai family, and had one son; after her son’s death in 1824 she adopted Shivalingappa, and made him heir to the throne. The British East India Company did not accept this and ordered Shivalingappa’s expulsion, using a policy of paramountcy and complete authority (doctrine of lapse officially codified between 1848 and 1856 by Lord Dalhousie), but Chennamma defied the order. Rani Chennamma sent a letter to Governor at Bombay to plead the cause of Kittur, but Lord Elphinstone turned down the request leading to all out war. The British tried to confiscate the treasure and jewels of Kittur (valued around Fifteen Lakhs of rupees) and attacked with a force of 200 men and four guns, mainly from the third troop of Madras Native Horse Artillery. In the first round of war, during October 1824, British forces lost heavily with St John Thackeray, Collector and Political agent, killed by the Rani’s forces. Two British officers, Sir Walter Elliot and Mr. Stevenson[ were also taken as hostages. Rani Chennamma released the hostages with an understanding with Chaplin that the war would be terminated. But Chaplin treacherously continued the war with even more soldiers. 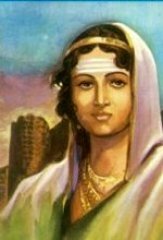 Chennamma fought fiercely with the aid of her lieutenant, Sangolli Rayanna, but was ultimately captured and imprisoned at Bailhongal Fort, where she died on 21 February 1829. Sangolli Rayanna continued the guerrilla war up to 1829 until his capture, but it was in vain, and was caught due to treachery and hanged. Chennamma was born 56 years before the 1857 rebel Rani of Jhansi, and was thus the first woman to fight against British governance and the kappa tax. Her legacy and first victory are still commemorated in Kittur, during the Kittur Utsava of every 22–24 October. On 11 September 2007 a statue of Rani Chennamma was unveiled at the Indian Parliament Complex by Pratibha Patil, the first woman President of India. Her statues are installed at Bangalore and Kittur also. Rani Chennamma’s samadhi or burial place is in Bailhongal taluk, but is in neglected state with poor maintenance and the place is surrounded by a small park maintained by Government agencies. Writer and Lecturer : BA (Honours) History, MA History from School of Oriental and African Studies, University of London : Chair of Hindu Human Rights Group, Have lectured previously at De Montfort University, London School of Economics, Sternberg Centre for Reform Judaism. Contributor to various political and human rights discussion outfits. Copyright © 2019 Hindu History, All Rights Reserved.